Summer is winding down and that means a new season starts – back to school season. If you have a child headed off to college, chances are they’ll have stuff…a lot of stuff. A storage unit is the perfect option to help them enjoy college clutter-free. College life usually involves living in cramped quarters such as a dorm room or a small apartment, leaving you with limited space. Big items such as furniture and boxes, full of seasonal clothing or memorabilia, will make a small space more cluttered. With a storage unit, your college student can store the big stuff with the ease of accessibility. If your student attends college out of state, chances are they are headed to school with a car packed full of their prized possessions. Renting a storage unit will allow them to have all their items in one place, meaning you won’t have to worry about losing your garage space. 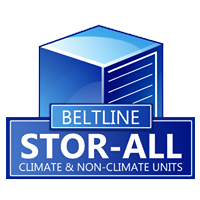 Storage units come in many shapes and sizes with climate and non-climate options available. A 5x5 unit is perfect for small furniture, clothes and boxes. A large unit such as a 10x10x8 will hold all the big stuff including couches, tables and mattresses. A climate controlled unit helps keep items such as clothing and books protected from the damaging effects of humidity and the elements. They are located inside of a building and are “temperature controlled” meaning they are kept cool in the summer and heated in the winter. Non-climate controlled units are suitable for short-term usage such as storage over the summer months. These are normally located outside which allows for easy access. Not only will a storage unit keep your student’s belongings secure and out of the way but they are cost effective as well. Utilizing a storage unit can save money on gas and the hassle of back and forth trips home. If your student chooses to live off campus they may not have the budget for a bigger place. Renting a unit nearby will allow them to maximize a smaller space while their possessions are within reach. Stor-All has locations located near the campuses of Spring Hill College and the University of South Alabama for your student’s convenience. There is no better option to safely store your belongings than a storage unit. 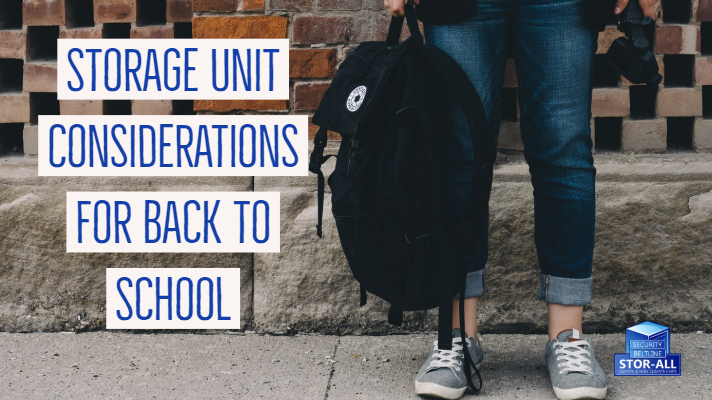 Selecting an appropriate unit for your college student’s needs will give you peace of mind that everything is locked up and out of site. If you are interested in storage options for your college student, contact Stor-All today. We provide all types of solutions for home and business owners in Mobile, Alabama and the surrounding areas. Call us today at 251-343-6999 and reserve your storage unit! Check out Beltline and Security on Facebook, or visit us online at www.StorAlls.com.